Vienna was one of the biggest global hits of the 1980's - cruelly kept from the UK top-spot by dastardly Joe Dolce and his one-hit wonder 'Shaddap you Face' (a painful blow to bear for Midge and his musketeers). 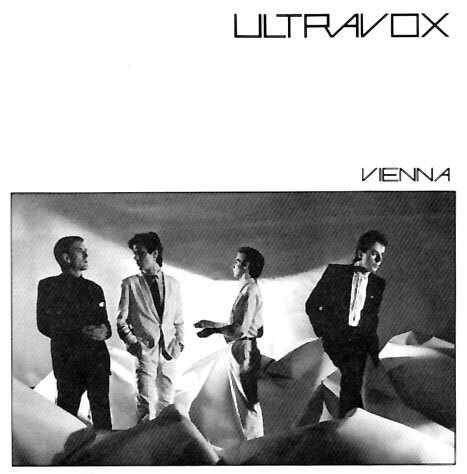 But posterity has favoured Ultravox, and even as early as 1981, 'Vienna' was voted British single of the year. Then there was the video, with it's fantastically weird ballroom shenanigans - the vampiric femmes fatales, the mischievous tarantulas, and Monsieur Midge wandering about with his tuxedo and flaming side-burns, every inch the fin-de-siecle poet. 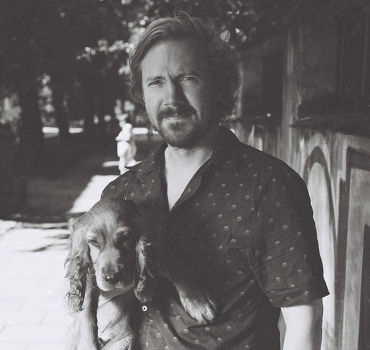 "I had a drum machine pattern in mind that I'd wanted to do something with and played that. To paraphrase myself, I said something like, "What about this, then?" and began the "Vienna" rhythm.... It all clicked in a few hours, and we ironed out the rough spots the next day - a hit a day keeps the dole away!" "Naturally, they thought it was far too long at six minutes, too weird for a Top 30 chart hit, and too depressing and too slow," Warren muses, "other than that, they liked it." Faced with having to stump up the costs for the vid themselves, the boys settled on some hasty improvisation. As a result, Vienna's cobbled grandeur was recreated in that most Austrian of nooks - London's Covent Garden. Likewise, the salon scenes (in which the band were genuinely sozzled) were shot in a swish London apartment. Of course, as we all know now, the record execs were proved heinously wrong, and 'Vienna' became a worldwide smash. Eating a sizable portion of humble pie, the bosses backtracked and paid for the video. One country where the tune was especially big was Japan, although as it turned out, something got a touch lost in translation on the lyrics front. The band didn't make a habit of printing lyrics with their albums, but they were happy enough to let the Japanese have a crack. This caused immense amusement when it emerged that the Japanese transcriber had taken a wrong turning somewhere along the way - Midge's romantic ode now included some rather unexpected lines about picking up a takeaway dinner. But that's enough for now, save for our wish that all members of the band are dubbed Lords of the Realm for their musical services to humanity. Long Live Ultravox! ** The two quotes in this article are from Ultravox: The Story, superbly compiled by Jonas Warstad. Check Ultravox's Official page for more info. I love Vienna and I can't believe it was beaten by Reneé and Renato!! Ultravox were / are awesome! We've seen a lot of 80's bands have a second wind of a career, and I think the same could happen to Ultravox, esp if some remixes get picked up on the dance circuit. Some of those bass lines could be awesome material! yeah, shane, the drum and bass remix was AWESOME!! i have it on tape in a box somewhere. Ahhhhhhhhhhh Viennaaaaaaa!!!!! Love it. Drum n bass remix anyone?! Ultravox are reforming for the 30th anniversary of their Vienna album. The band is going on tour - first concerts since 1985!!! A new album...? We'll have to wait and see! Ultravox rules!!! I'm going to their 2009 tour!!!!! My heroes then and still are my heroes. From the first day I heard midge's voice singing 'Vienna' was the day I fell in love with the band. I hold nearly all their records from 7" singles to CD's. Where you say, 'everyone loved Ultravox' it seems that I'm the only one left who admit it today. I could listen to the Vienna album everyday if I could, but once a month is fine for me. To me, Ultravox were the best in the 80's and were not always given the credit they all deserved for the music they made together. The sound was the best ever and they all should be knighted. Well written piece. Who didn't love Ultravox? !